Never one to neglect the details, the Gold Coat Rack with Swivelling Pegs takes statement storage to a whole new level! 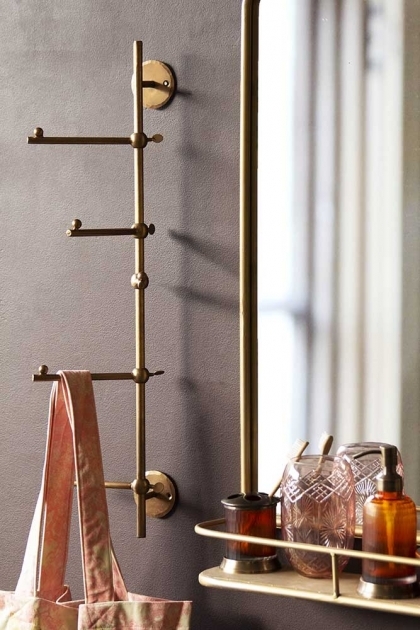 Made from iron with a glamorous light gold finish, the coat rack is designed to create a display of anything from coats to tote bags and towels. 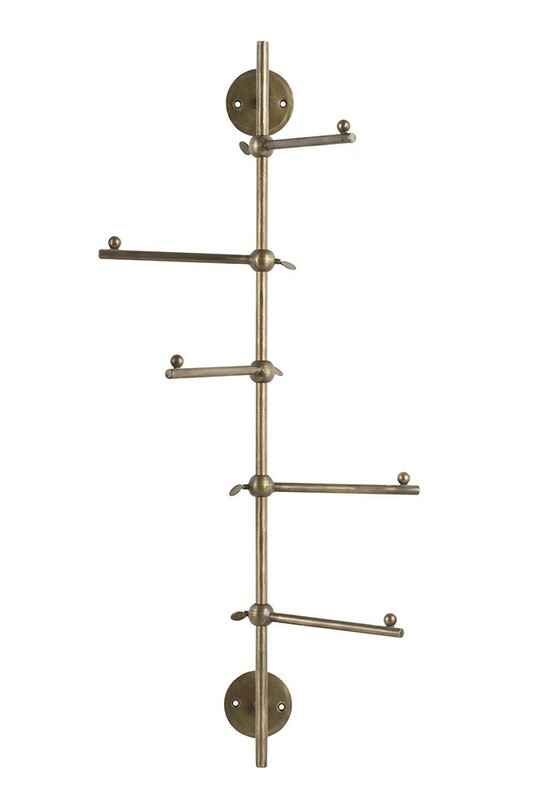 Measuring length 30cm x width 5.5cm x height 68cm, the Gold Coat Rack is delivered ready to be installed on the wall and features 5 individual pegs that can be swivelled around to create a fabulous feature of your storage. Adding a little something extra to everyday routines, the Gold Coat Rack is a simple storage solution with big impact when it comes to style. Finished in a beautiful pale gold, the Wall Hung Coat Rack with Swivelling Pegs will blend seamlessly with any interior. 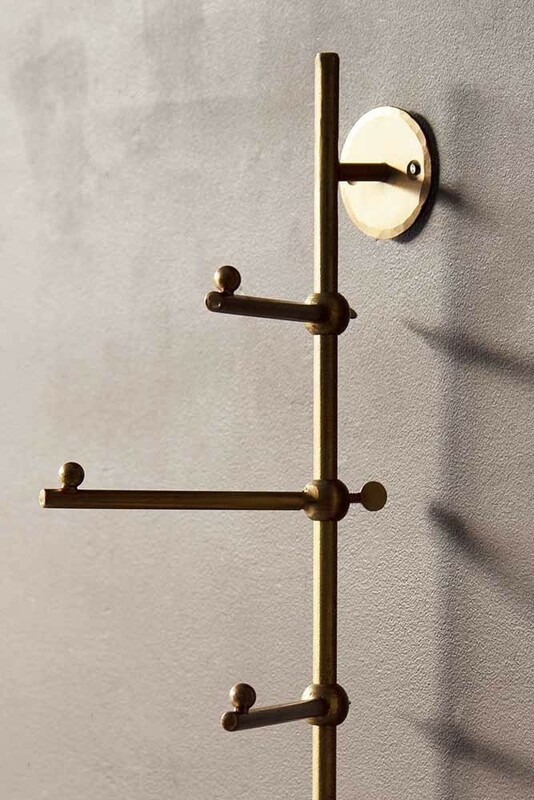 Featuring a vertical design with the genius addition of swivel pegs that don’t take up too much valuable wall space, the Light Gold Coat Rack is both practical and effortlessly on trend. One of our favourite things about this coat rack is its versatility as both a storage and display piece. Style it in the hallway to create a modern feature of neatly storing your coats throughout the seasons, or consider introducing the Gold Coat Rack to other areas of your home, from the bathroom to the kitchen. Perfect for taking the styling of tea towels and luxury bath linen to the next level. The Light Gold Vertical Coat Rack with Swivelling Pegs looks amazing whether positioned next to a mirror or displayed solo by the door.